Book a Local Angelenos for a personalised meet-up. Ditch the travel guides, decide where to go, what to see, what to do together with your private, personal, like-minded local host. With a friend who knows what you like, the city will unveil its best to you. Book this meet-up and the CityUnscripted team will contact you within 24-hours and ask you questions about your preferences and interests, so they can match you with a like-minded local Angelenos. He or she who will become your local host. Keeping in mind your personal answers, they will put together a itinerary just for you. Please note that this will be outlined but flexible. They will arrange a meeting with your local host in the most convenient place for you. During the meet-up, if you feel would like changing direction, or your host believes that you'd enjoy a sight or different experience, he/she will suggest and discuss changes to the itinerary with you. 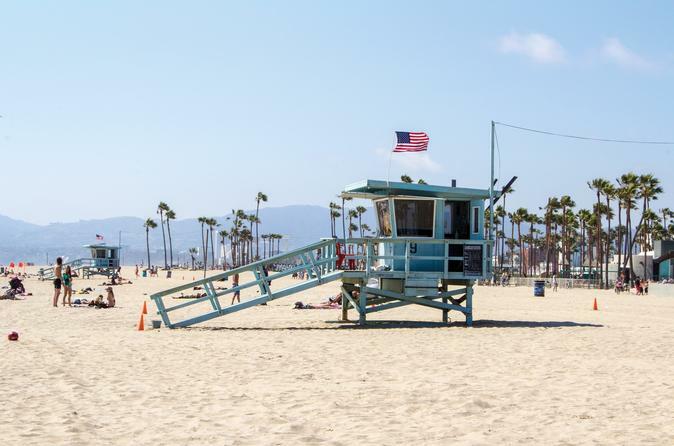 Enjoy discovering amazing spots in Los Angeles that you don't know about and are difficult to find in any guidebook or on the Internet, because they are lesser-known to the crowd but beloved by locals. The day revolves around your wishes, so enjoy your private meet-up and itinerary and let your local show you the Los Angeles you will love.